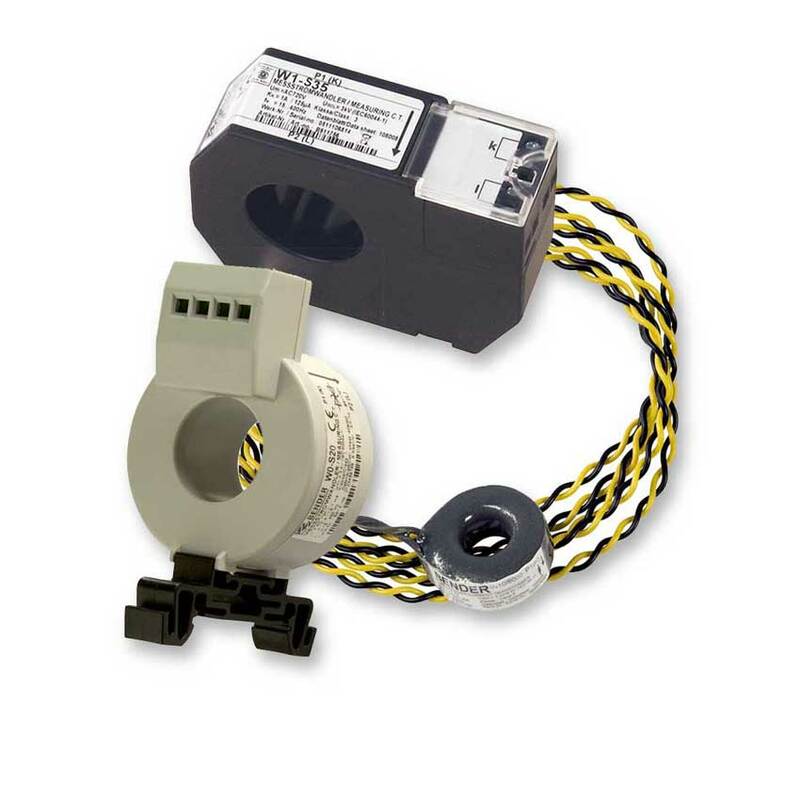 The highly sensitive W0-S20…W5-S210 series measuring current transformers convert residual currents up to 100 A into evaluable RCM or EDS signals. The CTs are connected to the respective evaluator by two wires. Depending on the connecting lead used, the distance between the CT and the evaluator may be up to 40 m. Care should be taken that all current-carrying conductors are passed through the CT and that these conductors are not shielded. A PE conductor should never be routed through the measuring current transformer.